Ask any camp owner to name the biggest headaches in camp management, and workers’ compensation (“work comp”) will undoubtedly be in the top 10. Under the category of items least likely in your control, work comp reigns supreme: it’s defined by state legislators fighting partisan politics, managed by insurance companies fighting for profits, adjudicated by Administrative Law Judges offering conflicting interpretations, and administrated by claims adjusters with mounting case files. Oftentimes, camp leaders are privy only to the injury that ignited the situation, then to the backlash effect of mounting premiums in the aftermath. However, in the midst of this proverbial constrictor knot of cause and effect, there are active steps that camp leaders can take to improve the outcome. Perhaps contrary to your personal experience, work comp was not created in Isengard by the evil wizard Saruman to antagonize you. 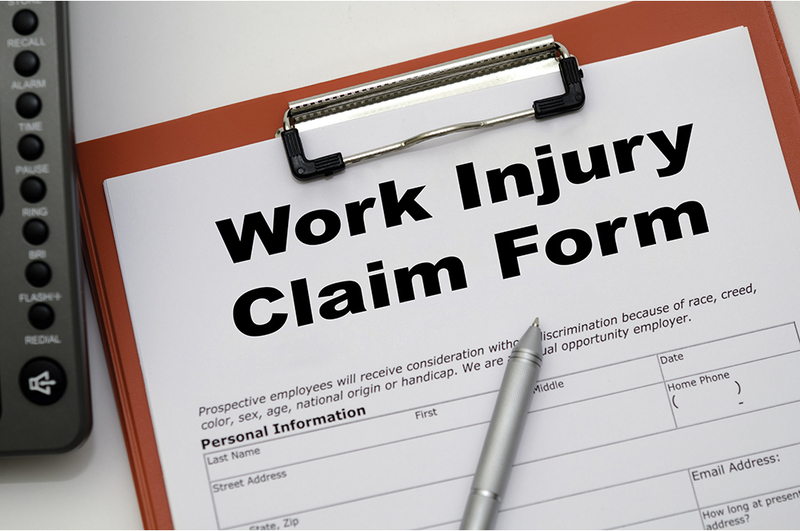 Starting in 1911, work comp was designed as a form of insurance to provide wage replacement and medical benefits to employees injured in the course of employment, in exchange for mandatory relinquishment of the employee’s right to sue the employer for the tort of negligence. The program is intended to be mutually beneficial to both the employee and employer during difficult circumstances. · Scenario A: Fred and Barney were playing basketball when Fred grabbed a rebound, and on his way down stepped on Barney’s foot and broke his ankle. · Scenario B: Fred and Barney, both staff members, were playing basketball during the four-hour break between when the old campers left and the new campers arrive. Fred grabbed a rebound, and on his way down stepped on Barney’s foot and broke his ankle. Neither Fred nor Barney were involved in any work activity at the time, and not scheduled to do so until later that afternoon. Clearly, Scenario B adds some backdrop that will enable the claims adjuster to further investigate in conjunction with the state’s definition to determine how to proceed. The goal here is not to find a way to deny the claim, but rather to accurately report the facts so a clear interpretation can be made. The second part of reporting has to do with the timing of the report. Delays in reporting can add unnecessary costs to the claim. When staff members leave camp property to seek their own medical care, it can oftentimes create friction when the bills come due. Some states allow denial of medical payments if the staff member did not receive prior approval for the care from the insurance carrier/employer. This can create a firestorm with staff members, and certainly their parents, when these large medical bills are denied. In other situations, staff may use a medical provider who is not in the discounted network used by the work comp carrier, thus creating a higher cost of care. Avoiding unnecessary costs will ultimately reduce the overall medical losses, thus helping to sustain the camp’s work comp premium outlook down the road. Timely reporting is therefore essential to get the claim off on the right track, with the right approvals, using the right medical providers. Once an accurate and timely FROI has been made to the carrier, it’s time for the camp leaders to return to camp work, and let the claims adjuster deal with it, right? Wrong! Leaving staff at the mercy of an overloaded claims adjuster is not only failing to help staff members navigate these difficult waters but also asking for higher claim costs. While some states do not allow employers to become involved in care decisions, many states do provide employers with varying levels of involvement. In those states that allow involvement, the camp leader should connect with the insurance carrier to determine who the approved medical-care providers are in the area. These are not the same as general practitioners, but have been further trained in occupational medicine (Occ Med) to provide care in cooperation with state laws. In addition, these Occ Med providers will also assist a claims adjuster to determine if the injury is consistent with the accident report. Once approved, the Occ Med providers will schedule a care plan to treat the injury, as well as to inform the camp of any physical conditions or restrictions that will impact the employee’s ability to continue working. I do not recommend using the emergency room as a non-emergency Occ Med provider as physicians are rarely trained on state work comp laws, and costs are typically higher. I find it beneficial to huddle with the local Occ Med providers during the off season in order to build a positive working relationship as well as to share camp culture and expectations. Certainly by now it’s time for the camp leader to set it and forget it, and get back to camp business, right? Wrong again! The employer must follow several steps along the care plan trail. One such action is called a “return to work” (RTW) determination, and if you miss this declaration and fail to take action, future premiums may pay the price. The RTW is simply a doctor’s opinion on the status of the injured staff member and a recommendation for returning to work with some possible conditions. Occ Med providers will issue an RTW each time the staff member has a follow-up visit to the office. The RTW is typically sent to the claims adjuster along with the medical notes from the visit, which can be several pages long. Unfortunately, many claims adjusters fail to forward the RTW to the camp to inform it of any restrictions or even full work status. The camp needs to monitor the care plan of the injured staff member, and request an RTW from the adjuster after each follow-up visit. There are many downsides in failing to return a staff member to his or her job if approved to do so, such as racking up higher claims cost due to wage allocation, longer medical recovery for staff members who do not return to work, and a higher utilization of legal representation. That said, it benefits both the injured staff member and the camp, both financially and relationally, to find work suitable to the restrictions of the employee, keeping the person engaged and productive. The old adage certainly holds true when it comes to work comp: “An ounce of prevention is worth a pound of cure.” Preventing staff injuries in the first place is a high priority given that summer staff members are perhaps the greatest asset we have and are extremely valuable to the camp experience. That is why having well-developed and intentional reporting, a care plan, and a return-to-work strategy is essential in caring for the needs of staff members in helping them manage rather difficult circumstances. Rick Braschler is co-author of the “Child Protection Plan,” and is a subject-matter expert on child-abuse prevention plans for youth-serving organizations. Reach him at rick@kanakuk.com, or read more about The Child Protection Plan at www.kanakukchildprotection.com/plan.